I’m not sure about your “enough”, but when it comes to money, it feels like it’s always not enough. And there are usually reasons why you competitors hustle better and sell more. Especially in the WordPress space, where you compete with thousands of creative and professional folks from around the globe. 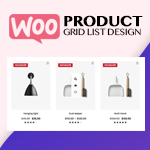 If you are sure that your WordPress theme is of good code quality and design and it still doesn’t generate enough sales, then something is wrong with its presentation or promotion. And that’s why you stuck. Let’s now list some common reasons for the problem we are talking about. What if one of them will help you break out this stagnation? No way. Why? This is the first thing you should do unless your WordPress theme is premium. “Freemium” pricing model is the most used in WordPress space because it has proved its efficiency with lots of small websites and established brands. 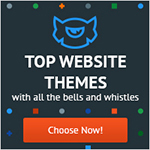 It allows you to offer your prospects a free theme with limited options and the “all-inclusive” within a paid version. Users love this idea and are often happy to upgrade to Pro if your product is what they need. The official WordPress.org repository is your chance to put your theme in front of thousands of prospective customers. It won’t only help you make the theme more popular, but will build more credibility with your audience. Why? 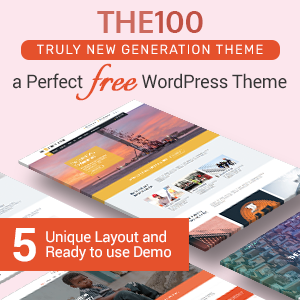 A theme published on wordpress.org automatically means it’s of good quality as in order to be accepted it undergoes a detailed review by WordPress professionals. Plus, it requires more responsibility from you and helps you kick yourself sometimes to make a better theme. This is the wisest way to start your game in a commercial WordPress space. Especially if you don’t know about marketing a lot. In other words, it’s your worthwhile investment in future sales. If you did not really try this yet, don’t postpone the process – the review procedure can take up to several months. Hurry up! This is more important than you might think. Marketers always buzz about that “customer persona” you should remember about. And they are right. When you will write your blog posts or theme description, who will you be talking to? To whom you’ll market your theme? Which language and terms will better resonate with your audience? Do you know a lot about people who use your theme or why they abandoned it? Have you created your theme for elite financial business? Or probably it’s a simple business theme for a developer who willfully tweaks to customer’s needs in a result. Is it for an SEO analyst or marketer who cares about the color of each call-to-action button? For bloggers who mostly want to have a clutter-free space for content? So many questions. But these are important questions to ask yourself when developing your marketing strategy. And having right answers is even more important. A good practice to find out more about your customer persona is to ask directly. You can do that (as many businesses do) even before your theme is released. Create a poll, post or survey dedicated to realizing who your potential customer is (in social media, your website, third party blogs, email). You may find tons of tips and questions to use in persona interviews. I know what you think: Themeforest is terribly overcrowded with WordPress themes (there is much more theme than plugin sellers), it’s a battle of giants and you’ll never generate a good income there. I won’t argue – this gold rush competition will never end. But it doesn’t mean that there is no place for creative and professional WordPress themes. Consider this marketplace as a great sales channel which is worth trying. So, kick a bad habit of ThemeForest pessimism and just try your luck. To be honest, lots of good themes are rejected if they don’t offer anything unique. In other words, if your theme is attractive only thanks to a couple of awesome free stock images and doesn’t promise any impressive design vision, professional functionality, or high customization opportunities, you need more than luck. Make sure to study Envato’s checklist for publishing a WordPress theme on ThemeForest and get more fresh useful tips from third party blogs on how to present your theme there. Try and you’ll know what to expect and what to improve. The earlier you start, the more chances your theme will be noticed. Didn’t you? That’s not right. Accepted or not on Themeforest, think of increasing your sales channels. Luckily, there are some good ones with thousands and even millions of users – with more or less space for selling your theme. Theme demo is a tool to build strong credibility with your audience. Some users won’t even read about your WordPress theme if there is no real evidence of your words. Potential customers want to get the maximum reality of something they will use or will pay money for. 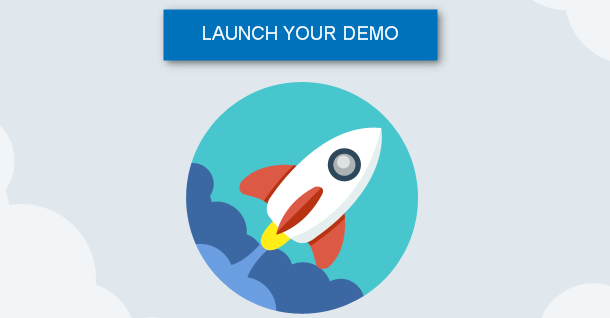 In fact, theme demo is the fastest solution for your users to find answers to their specific product-related needs. 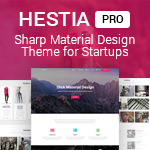 Today many elite ThemeForest authors (e.g UpSolution agency – creators of popular Impreza theme) incorporate frontend and backend demo into their commercial themes. Prospects want not only see the frontend design of your theme but wish to get a first-hand backend experience of theme customization. You can create it manually on WordPress Multisite or use a plugin to automate this work and build a demo much faster and easier. Now there are not a lot of plugins on the market allowing to build an attractive theme demo without coding. Some pioneers like WP Demo Builder or Ninja Demo are now not supported and not updated. A fresh alternative you can use is MotoPress Demo Builder plugin – it’s in the process of constant improvements, user and marketing oriented tool (MailChimp integration, isolated user sandboxes, email confirmation, etc). Moreover, it allows to create not only a frontend demo, but to provide backend trials as well, so you can be one step ahead of your competitors. Did you think out the content blocks of a landing page of your website (no matter whether it’s a dedicated site or a part of your official website)? How did you name the calls-to-action? Keep in mind that the main purpose of your landing page is not to convert visitors into buyers, but to collect leads – namely, to gather email addresses of your potential customers. This way, you’ll have a clients base and will be able to market other products in future easily. How to do that? Instead of asking your prospects to buy your product, offer them something valuable for free in exchange for their contact details like email addresses. Change your “buy now” button to “try free”, “3-day free trial”, or whatever (see reason #5). Instead of standard “subscribe to newsletter”, offer your visitors a free e-book or free plugin/addon (anything valuable you have) in exchange for their email address. Don’t overload your landing page with a sea of texts that can bore your visitors to death. Keep it simple and clutter-free. How on earth should people know about your theme if you write about it only on your own blog? If you don’t try to create a lot of buzz around your theme, it will be a way harder to promote it. It will take much more time. The current themes competition in WordPress space simply doesn’t allow you to waste time. You should act fast. Contact blogs (small and popular) and offer some valuable posts with a link to your theme, write about your theme on forums, Quora, Disqus, anywhere. Put maximum efforts into spreading the word about your theme. If you have a small budget, spend some money on paid reviews. It will help you save some time and get more links to your website. What are the headlines of your blog posts? Version 1.0 released, bug XY fixed? How many people wake up in the morning dreaming to google for such posts? Many smart WordPress businesses don’t start the site with selling a product, they start with creating a reliable education resource around their product. Yes, this takes time. And time is money. The more evergreen content you publish on your blog, the more traffic you’ll get over time. And I don’t say you should write “filler posts” about everything and about anything. Some unique researches, guides, interviews always evoke more curiosity. As for social media networks, you should be everywhere – post news on LinkedIn, create surveys on Twitter, post funny images on Facebook, share an inspirational story on Google+, post images of your cat “working” on your MacBook on Instagram. Be diverse and creative, not just sell your theme. Join niche groups, ask for feedback, etc. Pretty much work to do here! MightyDeals, InkyDeals, GreeDeals. Do these weird names tell you anything? Many developers and users hunt for coupons and always visit these sites. Submitting your theme to deals and coupons websites won’t only help you increase its popularity, but will increase sales. Sounds attractive? Well, all those tips are about promotion. Smart promotion and marketing work well only for good quality products. Continuous updates, improvements, and fixes will help you create and sell much better product and gain more trust. And trust and quality are your best friends on this journey. Moreover, to get more data-driven info about your current customers, how they use your theme, what is difficult for them and, at last, why they abandon it, you may rely on data-driven solutions like Freemans Insights and get statistics about your theme directly from customers. That data may surprise you and help radically improve the theme in a result. In any case, it can help you learn more about your “customers persona” (see reason #2). I think that’s all for now. Hope there was something for you. 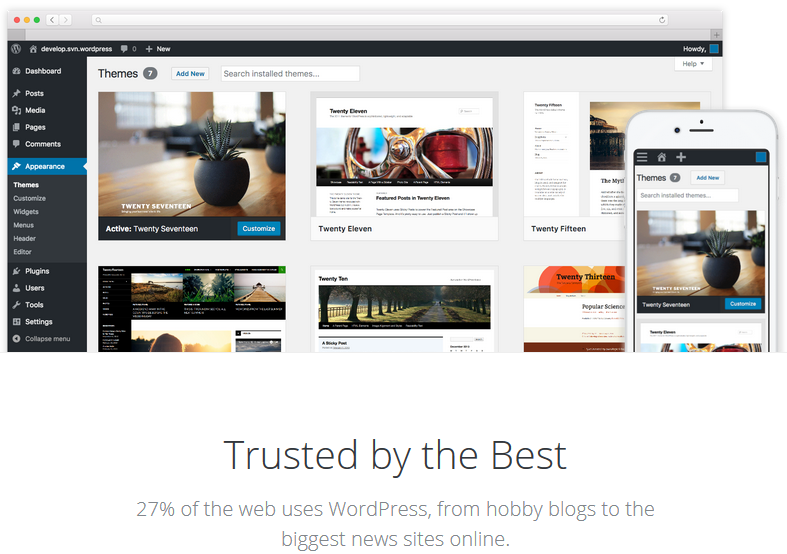 Found the reason why you still cannot move forward with your WordPress theme? Want to share other obstacles you experienced? Share them in comments, please. Next articleHow to set the timezone of your WordPress website? Hey Buddy!, I found this information for you: "10 Reasons Why Your WordPress Theme Doesn’t Make Enough Sales". 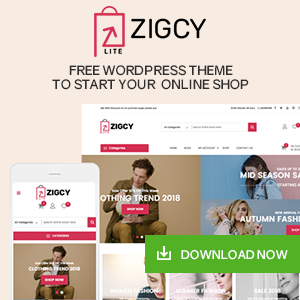 Here is the website link: https://wpallclub.com/why-wordpress-theme-doesnt-make-enough-sales/. Thank you.